RUNNING WITH OLLIE: Throwback Thursday: Runners! STOP Doing This! 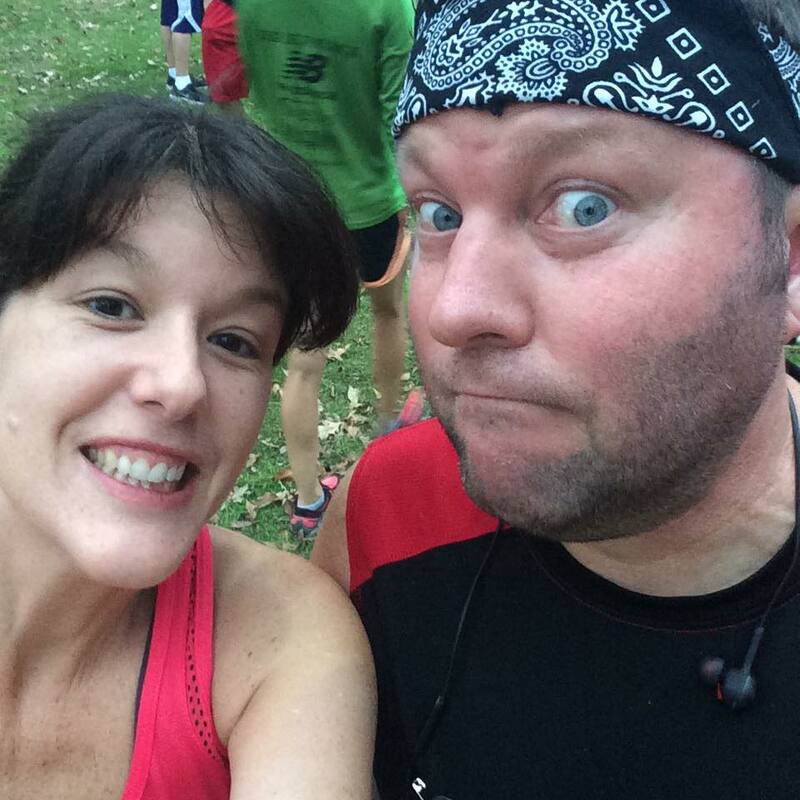 Throwback Thursday: Runners! STOP Doing This! Happy Thanksgiving, friends! Hubs and I ran the Cox Racing Club Thanksgiving Day 5k this morning at Trinity Park in Fort Worth (aka not the official Fort Worth Turkey Trot). I prefer this race because it is much smaller (less traffic/lines/crowds) and they give a medal for the 5k! 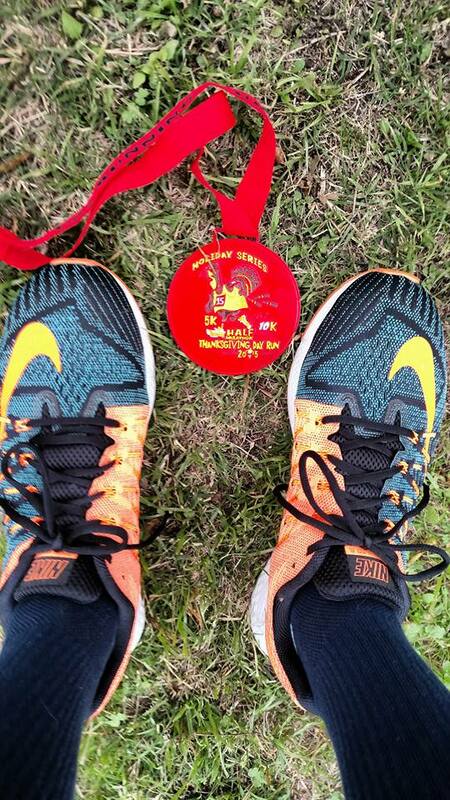 I'm a sucker for a race medal. My goal was to finish in less than 30 minutes and according to my TomTom I did it in 29:59! Mission accomplished! 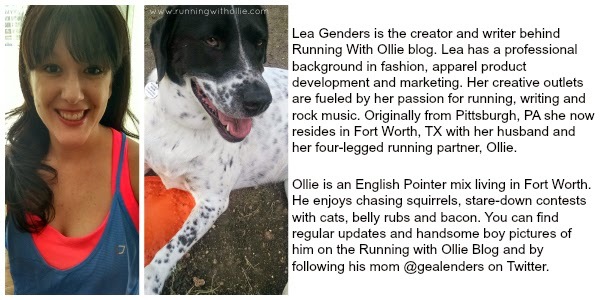 They allow dogs at this race and we were going to bring Ollie but (I apologize in advance for TMI) we couldn't get him to poop before we left! We didn't want to have him stop to take a poop break mid-race, so we left him at home. Also there's that mini-disaster that happened two years ago when I tried to race with him. I haven't done a Throwback Thursday post in awhile. Throwback Thursday is semi-regular post where I share a blog that you may have missed the first time around. 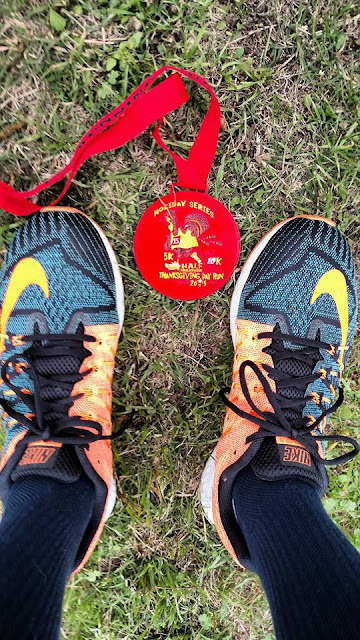 I ran this same race a year ago today and afterwards I was reflecting on something that we runners tend to do when talking about our running accomplishments. Runners! STOP DOING THIS! 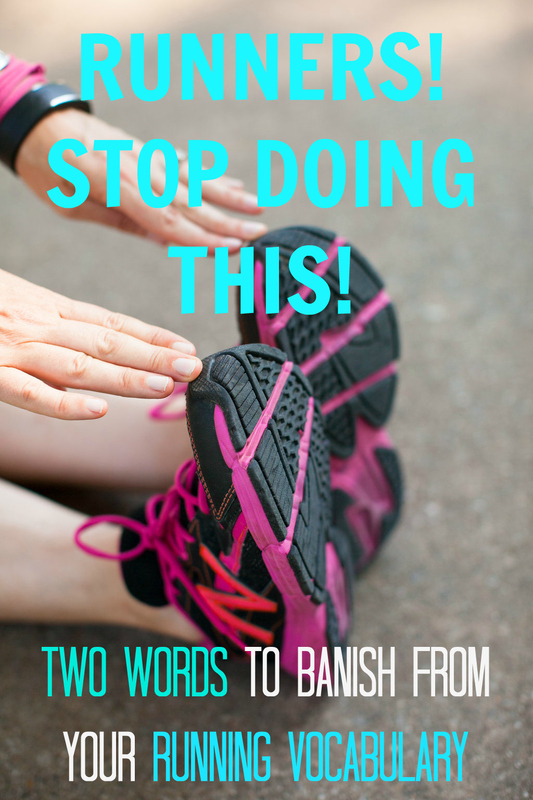 Two Words to Banish From Your Running Vocabulary! I hope you'll click over and check it out. Happy Thanksgiving! I am so grateful for you. Not just today, but every day!